Photo of the Isbell in Souda Bay, Crete, in 1995 waiting to be scrapped. 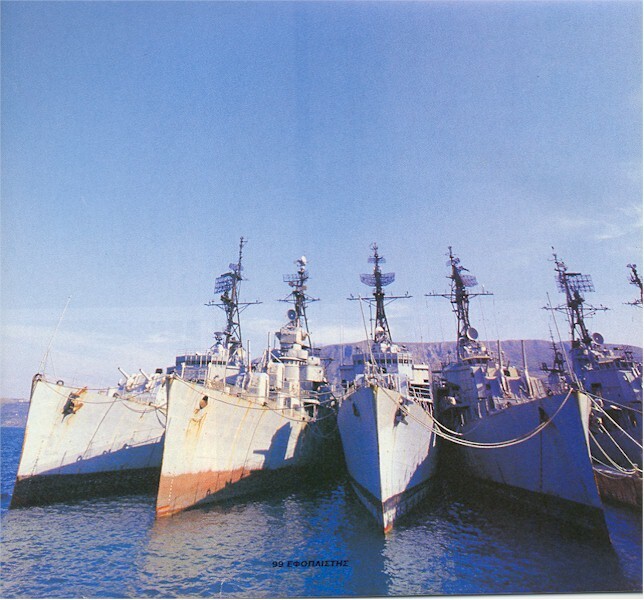 Ships are USS Corry (DD-817), USS Aulick (DD-569), USS Arnold J. Isbell (DD-869) and USS Ingraham (DD-694). An interesting photo comparison when she was the Isbell in 1972 and the Sachtouris in 1992. 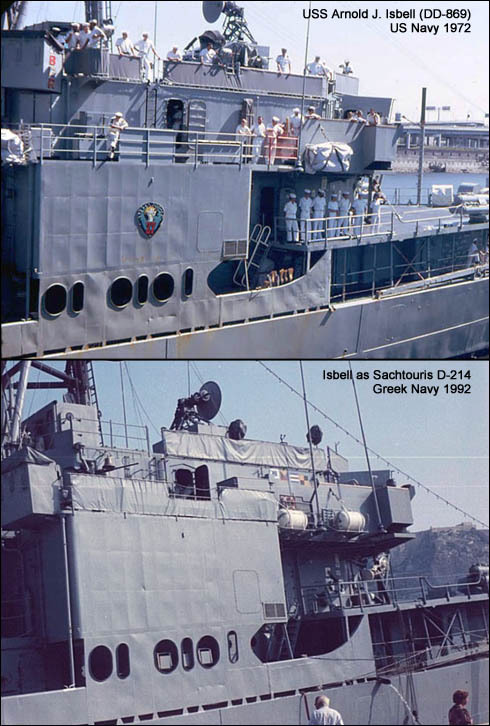 These photos were taken of the Isbell when she was Sachtouris D-214 in the Greek Navy. 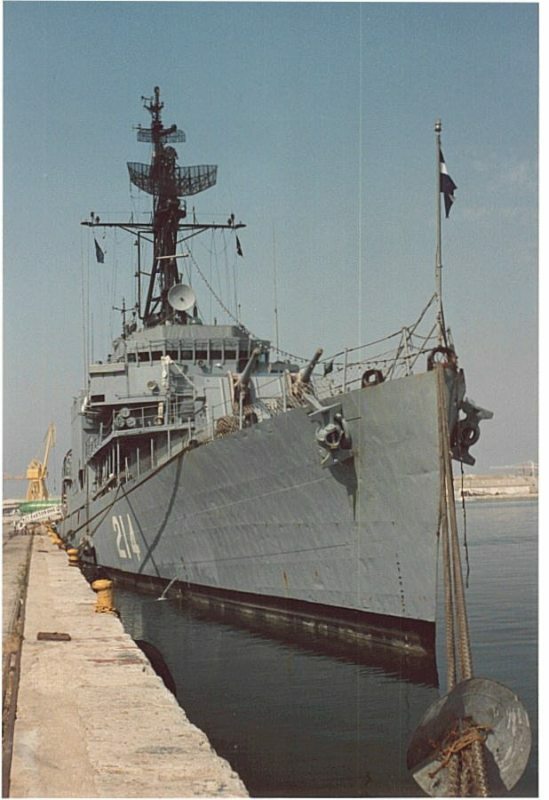 All pictures were taken at the Alicante port in July 1992. Provided by Javier Alba info@modelersite.com Original source here.